Genesis 13:15 All the land that you see I will give to you and your offspring forever. At a first read, this seems a little confusing. Why did God put Abram in a deep sleep (last I recall he made Eve from his rib)? Why were their animals cut in half laid in some sort of aisle? After Abram fell in a deep sleep, God prophesied over Abram. To understand this, we have to look into the culture at that time. My final question is why would God ask for a pigeon and a dove? He didn't use them, at least at first sight it seems that way. First, Abram wanted a visible sign of what He had promised him. 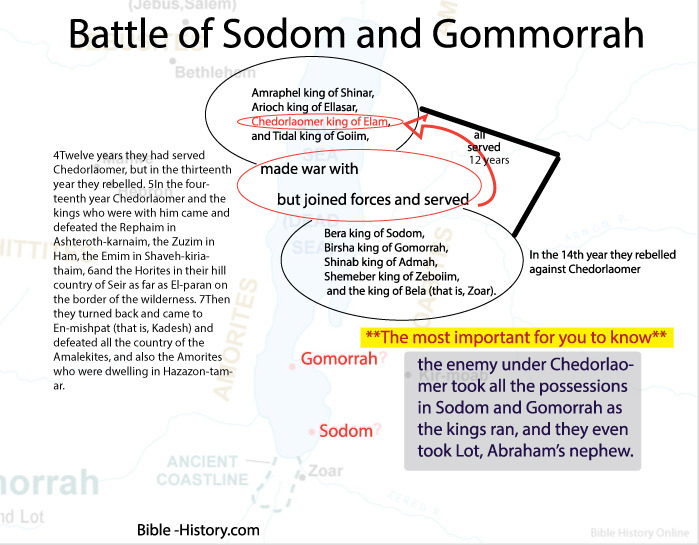 So this unconditional covenant between God and Abram was a one sided covenant. That's why God puts Abram in a deep sleep. This is God's promise, not an exchangeable, conditional agreement or contract. The cutting of the animals were a visible sign of God's promise. The part that gets confusing is the cutting of the animals. In those days, when two men made a contract/covenant between each other, they would do just this. They would cut the animals laying on opposite sides as if to make an aisle. Each person would pass through the aisle as if to say, "if you don't keep your end of the bargain, then you will end up like these animals." This is why it was called a blood covenant. This was a human, conditional, bargain between two people. So now do you see why God put Abram in a deep sleep? This was a one-sided, unconditional covenant that God made with Abram. The only one to pass through the divided animals was God, hence the "smoking firepot with a blazing torch." God would be the one to hold to the promise, and He would be the one to bring the prophecy to fruition. Finally, why would God ask for a dove and pigeon? This one tripped me up. My first thought is that the dove is represented as the Holy Spirit in the New Testament, so I got that. But I was confused about the pigeon. So I did some research on them. And what do you know, the pigeon and dove names are used interchangeable. They actually represent 310 species! Now that may have not been the same in Abram's day, but it doesn't matter. What I see here is that God is showing the Holy Spirit there. My question is if there's two, does that mean the other represents Jesus? I'm thinking maybe it's a Christophany. Regardless, God wanted the dove and pigeon to be there. This is the first mention of the dove and pigeon in Scripture. Later in the Levitical law, it says that if one is too poor to offer another animal, then they could sacrifice a young pigeon or dove. I see God's hand reaching down to love and care for the poor. Sometimes God's word contains portions of passages that are difficult; I've tried reading through some commentaries. It seems that theologians steer clear of this, but maybe I didn't read enough. 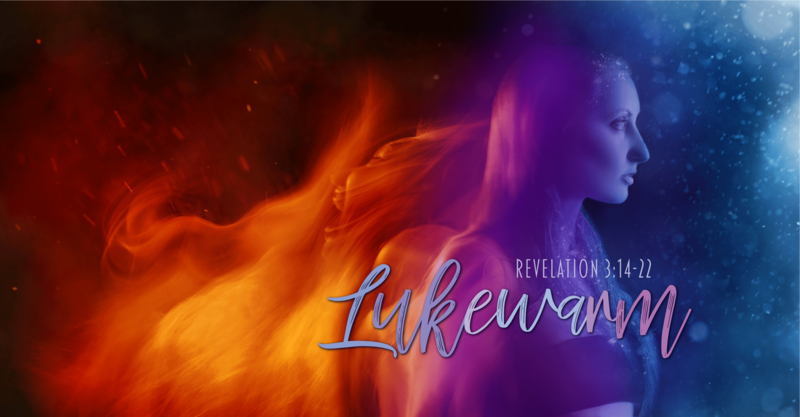 Has God made a promise to you, but have yet to see the fruition of the prophecy? Well this is where Abram was, and he asked God 3 times, how can he know. Abram already said that he believed God, and God credited it to him as righteousness (Gen. 15:6). So belief is not what's in question here, as it may seem. To ask and to doubt are not the same. Let's take a look at James 1:6: But when you ask, you must believe and not doubt, because the one who doubts is like a wave of the sea, blown and tossed by the wind. Abram did not doubt, but he did ask. James 1:6 tells us not to doubt, but at the same time, it says "when" you ask. God complies with a visible sign. Do you feel like you want a visible sign of His promise? Ask Him. Ask Him to confirm His promise, without doubting. Now He may not bring about His promise right now just because you ask. It will not be in your timing or on your terms. God will make it happen in a miraculous way, because He is not going to share His glory. Don't worry, and have faith that the Lord is working in your favor. But I do believe that God will give you a visible sign if you ask him and keep asking as Abram did 3 times, on 3 different occasions. Lord, Holy One of Israel, Father of Abraham, Isaac, and Jacob, my Abba Father, you are the Perfect One. There is none like you. God I pray that you would show us or speak to us as you guide each step. Help us to be like Abram, as he has walked and trusted you each step of the way. I pray that you would take away our anxiety's that are not from you, they are from the devil. We trust your words God. Fear is placed by the enemy, so we stand firm and resist him. We love you Lord and we will continue in faith, love and trust. 1. What does the Soveirgnty of God mean? God is above all things. He rules over all. And nothing takes Him by surprise. God foretold us about Jesus' coming and redeeming us when He cursed the snake. The soveirgnty of God is a character trait. God is limited and can only tell Abram where to go. He cannot put His direction on our hearts. He tells us what to do and hopes that we make the right choice. 10Now there was a famine in the land. So Abram went down to Egypt to sojourn there, for the famine was severe in the land.11When he was about to enter Egypt, he said to Sarai his wife, “I know that you are a woman beautiful in appearance, 12and when the Egyptians see you, they will say, ‘This is his wife.’ Then they will kill me, but they will let you live. 13Say you are my sister, that it may go well with me because of you, and that my life may be spared for your sake.” 14When Abram entered Egypt, the Egyptians saw that the woman was very beautiful. 15And when the princes of Pharaoh saw her, they praised her to Pharaoh. And the woman was taken into Pharaoh’s house. 16And for her sake he dealt well with Abram; and he had sheep, oxen, male donkeys, male servants, female servants, female donkeys, and camels. 17But the LORD afflicted Pharaoh and his house with great plagues because of Sarai, Abram’s wife. 18So Pharaoh called Abram and said, “What is this you have done to me? Why did you not tell me that she was your wife? 19Why did you say, ‘She is my sister,’ so that I took her for my wife? Now then, here is your wife; take her, and go.” 20And Pharaoh gave men orders concerning him, and they sent him away with his wife and all that he had. There was a famine in the land of Canaan, so Abram traveled to Egypt for relief. Sojourned means that it was a temporary stay and he was merely passing through. Before Abram arrived into Egypt you can see fear set in on Abram, and he began to plot. He told Sarai, his wife to lie and say that she is his sister. Abram feared that the Egyptians would kill Abram because Sarai was so beautiful. When fear sets in, trusting God suffers and Abram makes a rash decision without consulting God. Here Abram relies on his wife's beauty to save his life. As Abram gets side tracked from God's path, Sarai is taken into Pharaoh's house. Pharaoh dealt well with Abram because of Sarai. But then, God afflicted Pharaoh's house with plagues because of Sarai. Pharaoh found out that Sarai was Abram's wife and became angry and sent them away. Sometimes God causes hardship to make us move. When we lived in Bristow God was causing financial hardship on us, and we were forced to move. Matt and I were frustrated and questioning God moving us there, as we thought we would raise our kids in this great school, big house, and awesome community. We drove 45 minutes to our church every week, but the luxuries of living in that house were much to be desired and worth the drive. As we questioned God, we began to rely on our own knowledge. So naturally we looked for a smaller house in the same area. We had to take a big detour in God's plan by trusting our own instincts. We went so far as to buy this house in Gainesville. God pressed greatly on Matt's heart that this house was not His will. Matt finally listened and we lost $6,000 by backing out of this house. In obeying God, we were back on His plan and He opened up a PERFECT home in Fairfax, Virginia only 1.7 miles from our church! There was a great cost to our disobedience. However, God in His grace got us back on track in His will. Abram lost his wife for a period of time. I imagine that it was very difficult for them to live in this season of disobedience. 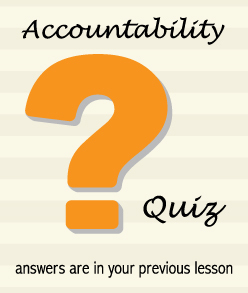 Have you counted the costs of walking in your own ways in sin? This passage also shows us that even Abram's faith wavered. We know Abram as a man of great faith. His faith was so great in God, that the Lord counted it as righteousness (Genesis 15:6). Faith is the key to Christianity. Read Romans chapter 4 to expound on the idea of the faith of Abraham and our faith in Christ. Hebrews 11:1 (NIV) sums up "faith." Next week: We will study Genesis 13. Abram and his nephew Lot will go their separate ways. 1. Pruning, Prophecy and Blessings are the main points in God calling Abram to walk in His will. 2. Does God give us a map or clarity when we are walking in His will and what is this called? When they came to the land of Canaan, Abram passed through the land to the place at Shechem, to the oak of Moreh. At that time the Canaanites were in the land.Then the LORD appeared to Abram and said, “To your offspring I will give this land.” So he built there an altar to the LORD, who had appeared to him. From there he moved to the hill country on the east of Bethel and pitched his tent, with Bethel on the west and Ai on the east. And there he built an altar to the LORD and called upon the name of the LORD. 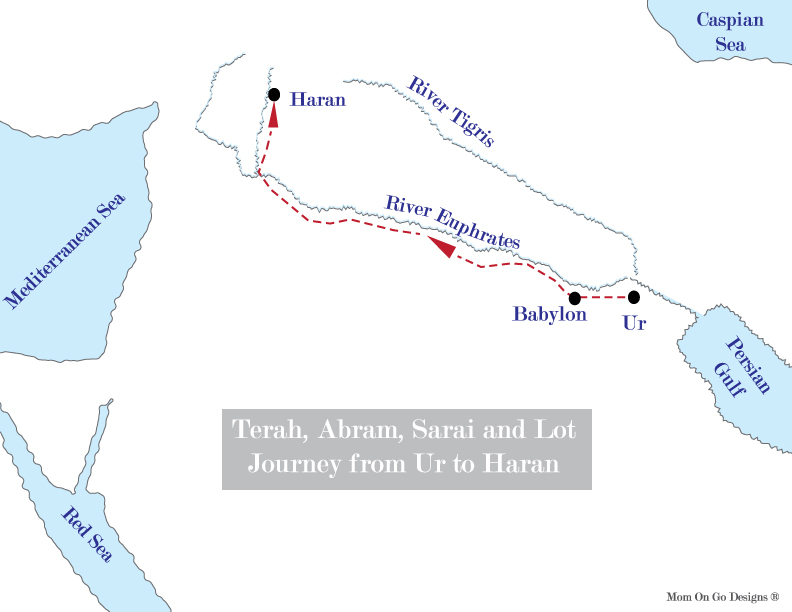 And Abram journeyed on, still going toward the Negeb. In Genesis 11 Abram made the decision to leave Ur of the Chaldeans and head to Canaan. However Abram stopped in Haran, and THEN God spoke His calling to Abram. Recall Genesis 12 where God calls Abram to the land He will show him. 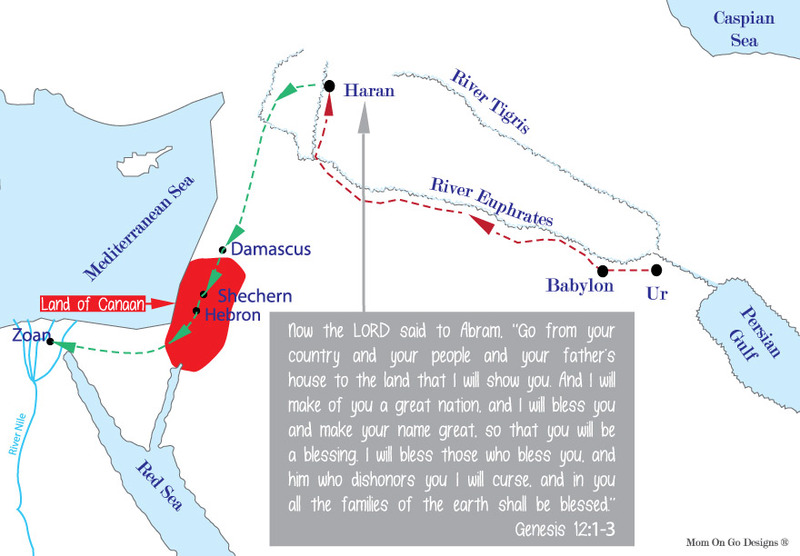 Here is where Abram sets out to continue his journey to the land of Canaan. Isn't it interesting that Abram set out towards Canaan before God told him to go, AND before He actually shows Abram the land He will give to his descendants? Yet, 3 chapters later God tells him that HE brought him from Ur, not from Haran where He actually spoke to Abram. "He also said to him, "I am the LORD, who brought you out of Ur of the Chaldeans to give you this land to take possession of it." What do you think this tells us? It shows us a specific characteristic of who God is. He already knows what you will do and if He wants to guide you without you even knowing it, HE CAN. Have you ever looked back to a time period when you weren't following God or may have not even known Him? Yet you see your footsteps were ordered to meet the right person who would lead you to Christ, or to that church. 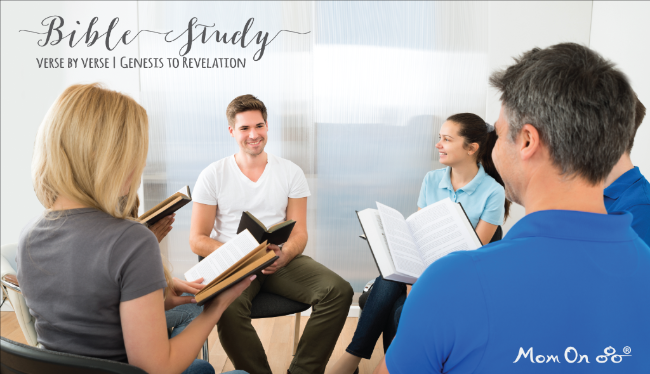 Maybe you joined this Bible study out of curiosity, but it's actually GOD who planted that curiosity in your heart. If this is you, then keep up with these studies and you will watch how the Lord will transform your life and how He will order your steps to the land that He will show you, to the blessings He will give you. You are loved and held precious, dear to the Lord's heart. Let Him love you and speak to you everyday and you will find peace in such a hard present age. The best example I can recall of God's SOVEREIGNTY is when my dad started going to Belize every year with my church here in Northern Virginia. A long time ago (years and years well before our trip), I recall my dad watching the travel channel and I think Belize was on the television. It happened to be when I was visiting, and dad said to me, "Sarah if there's any place in this world that I would love to go to, then it would be Belize." Now I wholeheartedly believe that God ordained that moment and planted this desire into my dad's heart. Fast forward to a couple of years later, and my church is going to .... you guessed it, Belize on a missions trip. Amber coerced me to go, and I'm so grateful she did. I wrote my letters and I was reading it over and then that thought popped in my mind. Oh man, dad wants to go to Belize, but I wasn't sure how he would feel about a mission's trip. So I was nervous to call. I finally got the courage, telling myself that it doesn't hurt to just ask. When I told him we were going and that it's a missions trip where we will work to help this village he said, "I'll go." He was calm and collect yet there was excitement in his voices. Wow. We went together that first year in 2011, and he's been going every year after without me, but with my church!! It's amazing how God works like that, but it's far beyond our minds understanding. I just trust and recall these wonderful things He's done. Next week: We will see where Abram lies. 1. Abraham and Sarah's name have not yet been changed by God. They are Abram and Sarai. 2. Where did Terah, Abram, Sarai and Lot settle? 4So Abram went, as the Lord had told him; and Lot went with him. 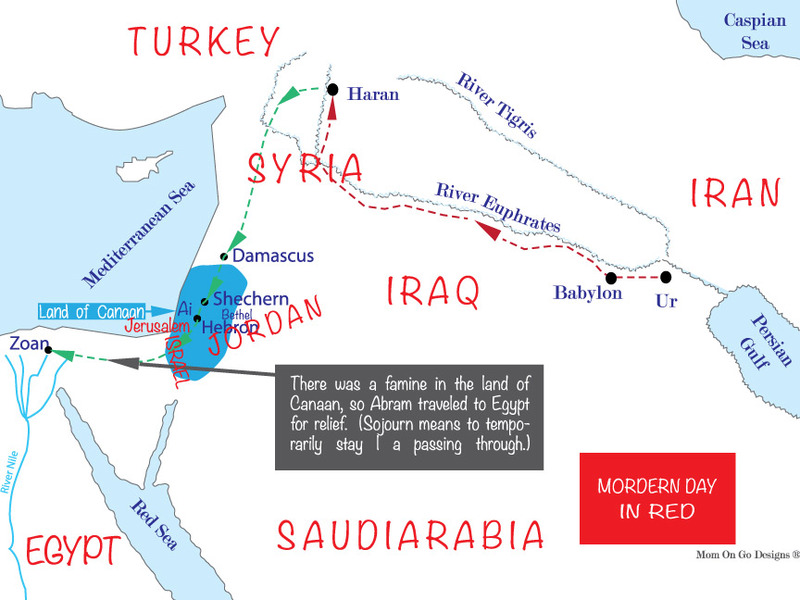 Abram was seventy-five years old when he set out from Harran. 5He took his wife Sarai, his nephew Lot, all the possessions they had accumulated and the people they had acquired in Harran, and they set out for the land of Canaan, and they arrived there. The Lord told Abram to "leave" his people and his country and set out to the land He will show him. In order to trust God, we are often told to leave something behind or God may remove it. This is referred to pruning in the Bible. John 15:2 - Every branch in me that does not bear fruit he takes away, and every branch that does bear fruit he prunes, that it may bear more fruit. It wasn't until I started gardening that I understood pruning. A neighbor used to take care of my gerbre daisies. I thought I could just plant them and then they would grow without any work. The daisies needed pruning. The way she described it to me has ingrained forever in my mind in regards to God pruning us as His children and church. As a part of it dies or makes it's cycle of life with the flower, then it needs to be pruned. Pruning means to cut away from the flower, plant, or tree. The roots push nutrients and water up to each part of the plant. The plant works extra hard to push nutrients and water (life) up to the dying parts. The living parts suffer, because the plant is using most of it's sources on the dying part, trying to revive it. Therefore, the plant ceases to produce fruit or flowers. If the parts that are dying are cut away from the plant, then the nutrients and water are able to free flow full force to the living parts, producing much fruit or flowers. In order to grow, we must obey God and leave behind whatever He asks from us. God tells Abram that He will make his name great and make him into a great nation. Later in Scripture, we find that this means that Abram will have as many descendants as the stars. If God tells you an outcome that has yet to come about, then this is a prophetic word. Again, the only way to get to the outcome is through trusting God and obeying His Word. Yes, we get off track and God helps us back into His will. He is full of grace and love! We will see later in Scripture where Abram veers from God's will a bit and how God redeems him. Have you ever felt like everything just goes wrong, one thing after another? Are you ready to see God bless your life, your family and/or career? Everyone of us will have many hiccups along this road called life, but we can have a blessed life. We see this in God's promise to Abram. If you want a blessed life from the Lord, then obey His Word and walk in Christ. But remember the first point. If you are obeying God and walking in Christ and things seem to be breaking one thing after the other, then refer back to the point on pruning. God may be taking you through a phase to take away the parts that are not bearing fruit. When I was a brand new Christian in at Life Bible College there was a man that came to our church. He had a prophetic gift and he laid hands on me and prayed over me. God gave him a prophetic word for me. I remember feeling a little disappointed when I received it, because I wanted it "now". Haha! Isn't that the way of our world? He said God is going to use you in big ways, but it won't be for 10 more years. 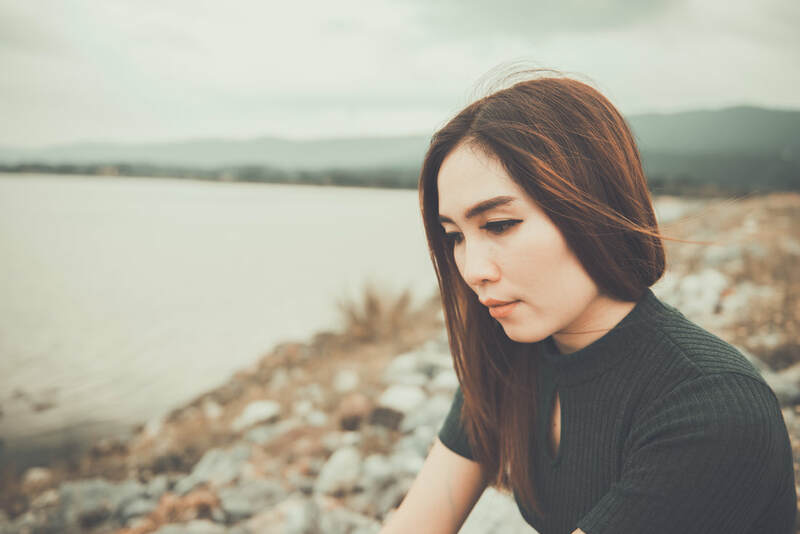 Ten years to a young 21 year old girl felt like a life time away and being a new Christian, I felt disappointed and unchosen. I went about my Christian walk trusting God at times, and disobeying at times. The Lord would bless and prune me over the next 10 years, always pulling me back in line with His will. But quite honestly it was mostly pruning and very little blessing. I'm not saying I didn't have much to be thankful for, I had LOTS to be thankful for. But over the course of the next 10 years there would be a consistent "leaving" things behind and pruning of my character. Of course I forgot all about this word for years. And then, we became neighbors with Kenneth and Amber who happened to be a youth pastor. We became friends and God called Kenneth to start a church. They asked Matt and I to come alongside them. A flashback of that word comes to mind!! Wow, 10 years later. Our church as been going for 3 1/2 years now! God is good! Next week: We will study Genesis 12:6-9. We will see the importance of worship as Abram starts his journey.